About Us - Underground Sonic Drilling Services Inc. 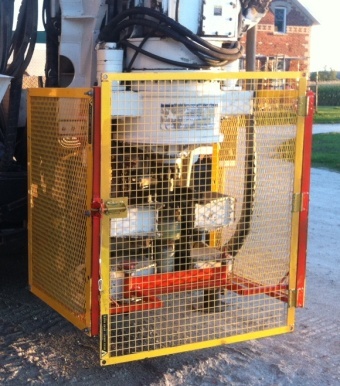 Underground Sonic Drilling Services Inc. is an Ontario based sonic drilling company specializing in safer, more efficient and environmentally conscious drilling services in the Geotechnical, Dewatering, Environmental and Exploration drilling sectors in Eastern and Central Canada. 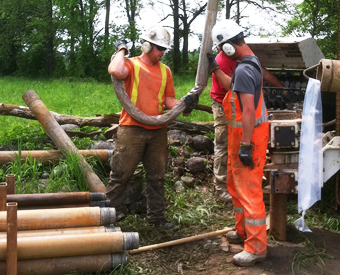 By utilizing the most technologically advanced drilling equipment and holding over 25 years of combined drilling experience, Underground has developed a respected reputation of providing superior quality services and successfully completing projects in some of Eastern Canada’s most challenging soil conditions. At Underground, our best-practices strategy involves maintaining a cleaner and safer work environment, reducing project completion times, minimizing site disruption and ensuring that your project is completed on time and on budget. Ministry of the Environment licensed Well Contractor. Ministry of the Environment Well Technician license 1,2,3. Solinst certified Continuous Multichannel Tubing installer. Our company stands behind our recommendation that Underground Sonic is one of the best drilling firms in the industry! Call us today at +(1) 705 259 4986 to discuss how we can assist you on your next drilling project.